UK-based RISE Financial Technologies claims to be “the first technology firm to launch the second generation of blockchain for the post-trade sector”. The solution is now undergoing testing with a number f banks, custodians and CSDs. The results will be published in H2 2016. RISE develops multi-asset class, multi-currency distributed financial ledger technology for the post-trade securities industry. Ruud Sleenhoff, advisor to RISE and former chairman of post-trading at the European Banking Federation (EBF), emphasises that the vendor’s latest offering goes beyond just technology. “The firm has put a lot of thought into what is needed for successful deployment in terms of how to embrace industry standards, align with current regulation, and how to handle the governance of the network in future”, he says. Thorsten Peisl, CEO of RISE, comments that whilst distributed ledger technology is “being hyped as the solution to fundamentally change the key parts of the post-trade process”, for this to happen there needs to be a fundamental overhaul. “Technology has to be re-imagined and re-designed from the ground up so that its attributes are specifically matched to the particular needs of the post-trade sector,” Peisl states. “RISE is the first firm to apply the next iteration of blockchain technology to settlement and securities safekeeping,” he claims. RISE is also looking to set up parallel industry verticals where additional financial institutions will be invited to join the firm’s existing test network. RISE was set up in 2014, with former senior execs from State Street and Deutsche Bank at its helm. 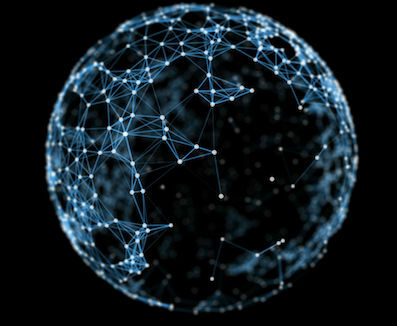 In 2015, the company acquired Cryptosphere Systems, one of the first technology firms to specialise in distributed systems.